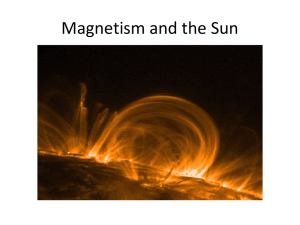 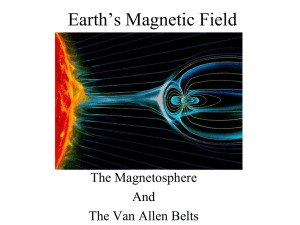 Earth's magnetic field, also known as the geomagnetic field, is the magnetic field that extends from the Earth's interior to where it meets the solar wind, a stream of charged particles emanating from the Sun. 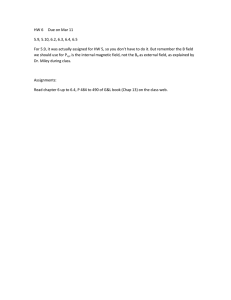 Its magnitude at the Earth's surface ranges from 25 to 65 microteslas (0.25 to 0.65 gauss). 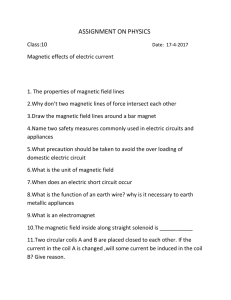 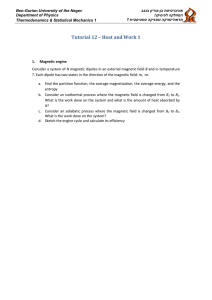 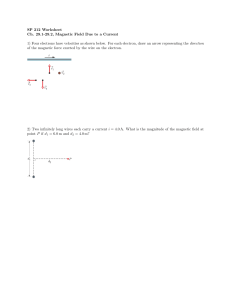 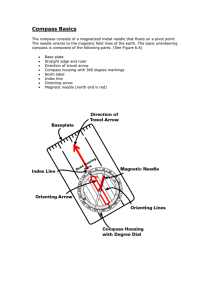 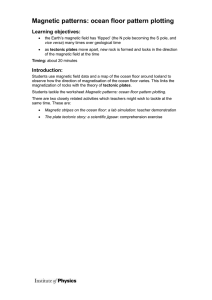 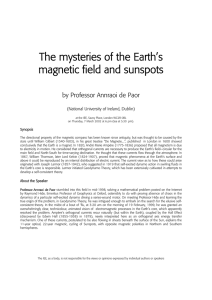 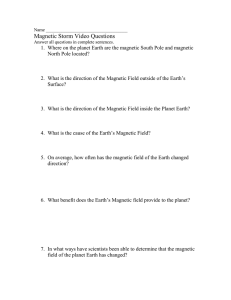 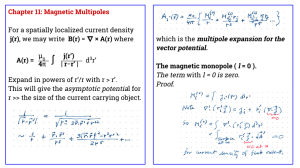 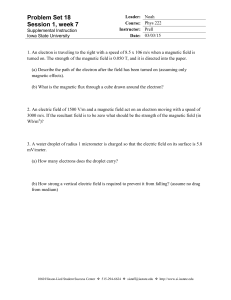 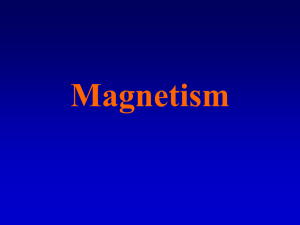 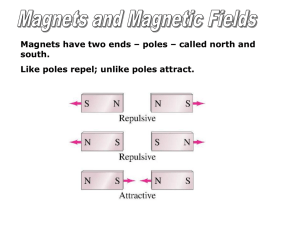 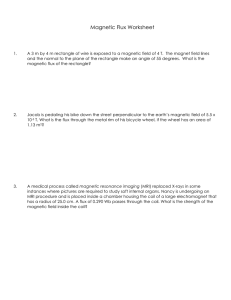 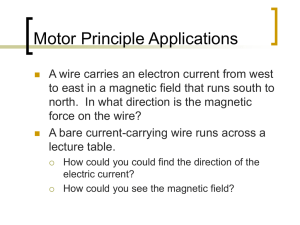 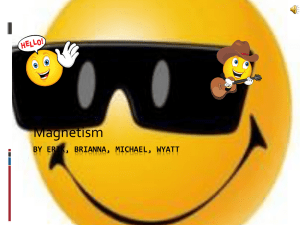 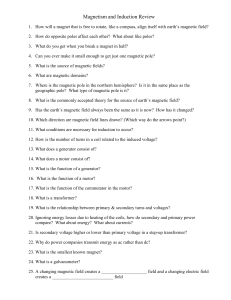 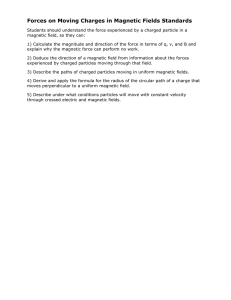 Roughly speaking it is the field of a magnetic dipole currently tilted at an angle of about 10 degrees with respect to Earth's rotational axis, as if there were a bar magnet placed at that angle at the center of the Earth. 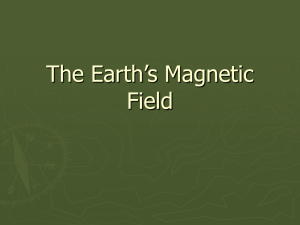 Unlike a bar magnet, however, Earth's magnetic field changes over time because it is generated by a geodynamo (in Earth's case, the motion of molten iron alloys in its outer core).The North and South magnetic poles wander widely, but sufficiently slowly for ordinary compasses to remain useful for navigation. 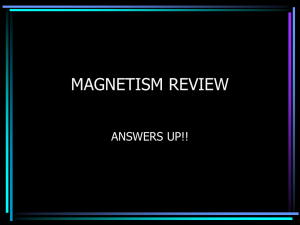 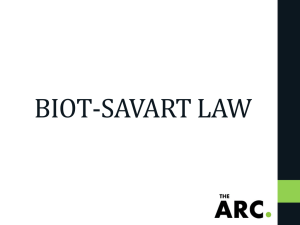 However, at irregular intervals averaging several hundred thousand years, the Earth's field reverses and the North and South Magnetic Poles relatively abruptly switch places. 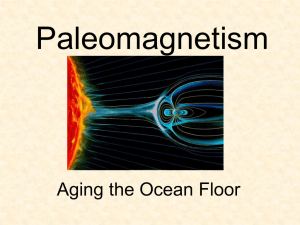 These reversals of the geomagnetic poles leave a record in rocks that are of value to paleomagnetists in calculating geomagnetic fields in the past. 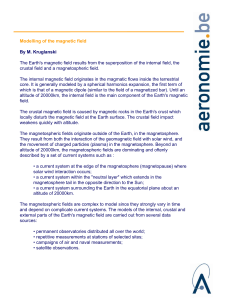 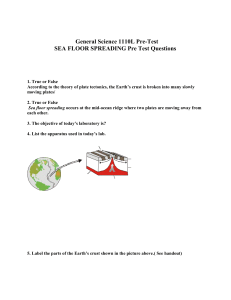 Such information in turn is helpful in studying the motions of continents and ocean floors in the process of plate tectonics.The magnetosphere is the region above the ionosphere and extends several tens of thousands of kilometers into space, protecting the Earth from the charged particles of the solar wind and cosmic rays that would otherwise strip away the upper atmosphere, including the ozone layer that protects the Earth from harmful ultraviolet radiation.